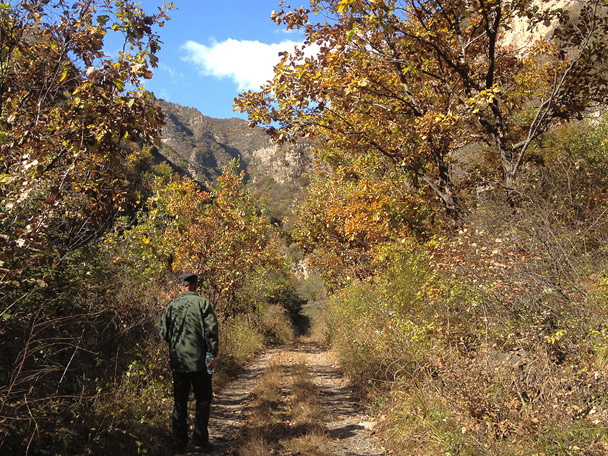 In Brief: Photos from our hike through Cypress Wells Canyon and post-hike visit to Yongning Town. 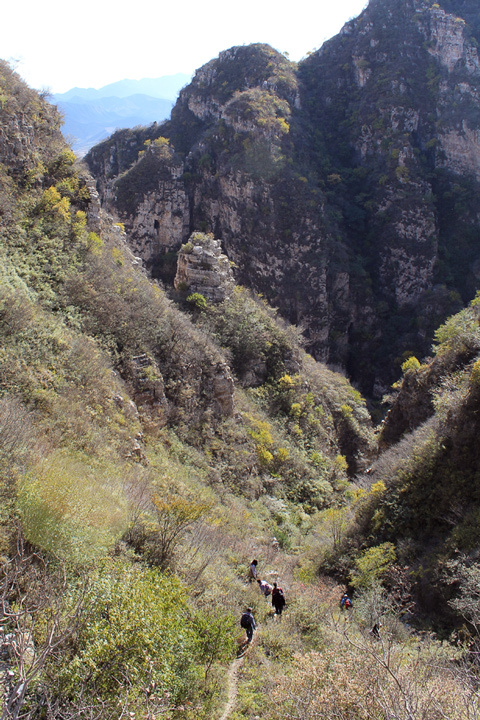 Our Cypress Wells Canyon hike is a nice long north-to-south walk through the hills of Yanqing District that passes through what looks to be an abandoned scenic area as well as an abandoned village deep in the hills. 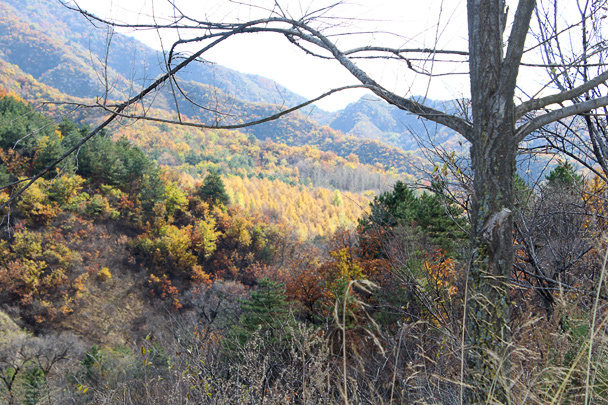 The scenery is good year round, and on this visit the great autumn colours made it even better than usual. 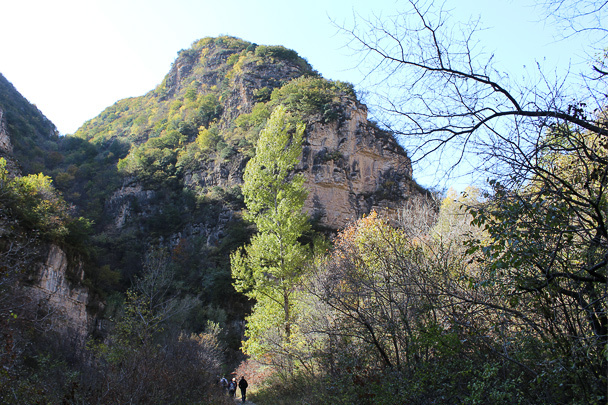 The first part of the hike took us through the canyon and into a broad depression in the surrounding hills, where we took a short break to explore an abandoned village. Until recently, two brothers had stayed behind in the village and continued to tend their fields. Now, they're gone as well, leaving the whole place empty. 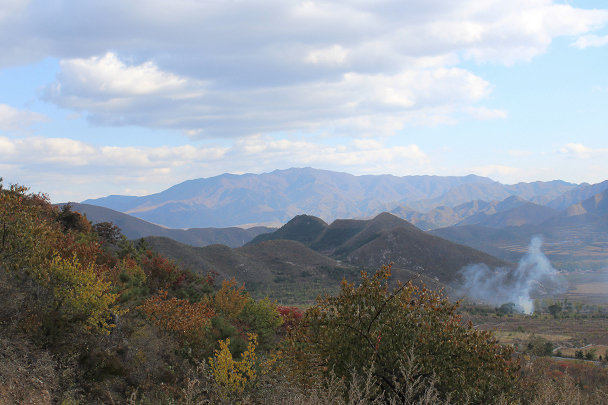 From the village we walked through a pine forest, passing an old stretch of Great Wall before following a steep trail down between rocky crags to finish the hike. 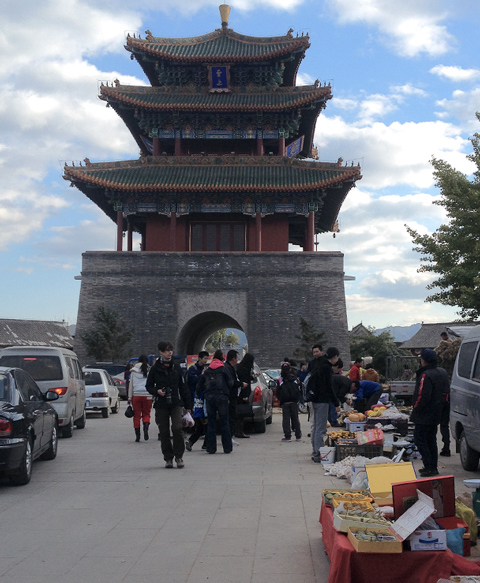 On the way back to the city we stopped for a quick look about Yongning Town, a relatively small settlement with a long history and a big tower in the middle of town. Photos for this report were supplied by super hiker Judy (thanks!) and Huijie. We followed a flat trail through trees to begin the hike. Tall grass beside the trail. 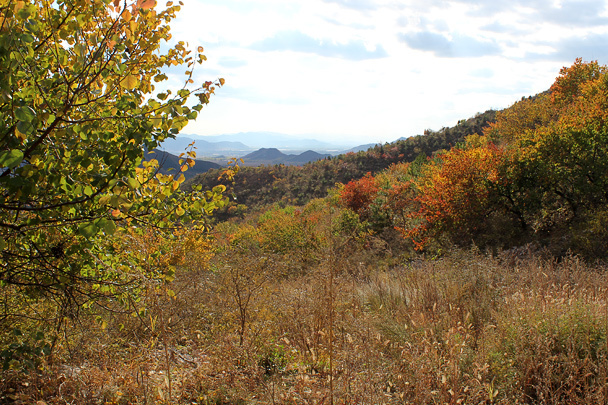 Autumn colours in the hills. 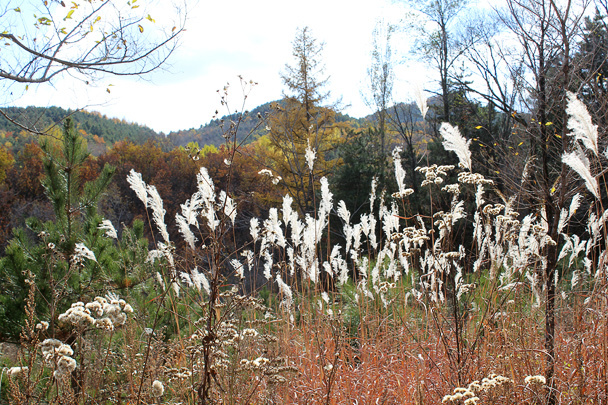 Tall grass and autumn colours in the hills. 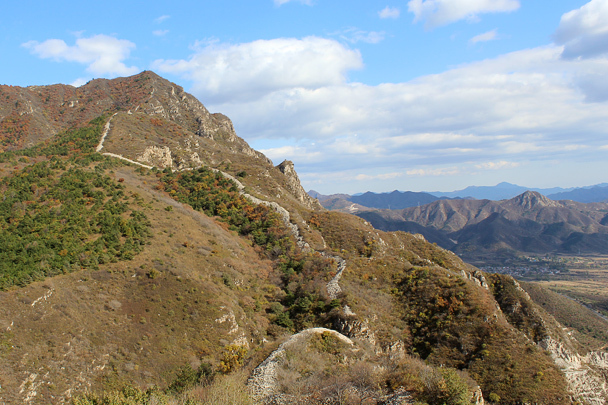 A line of ancient Great Wall crosses the hills here. The trail took us down between rocky crags. On the south side of the hills we could see farmland. 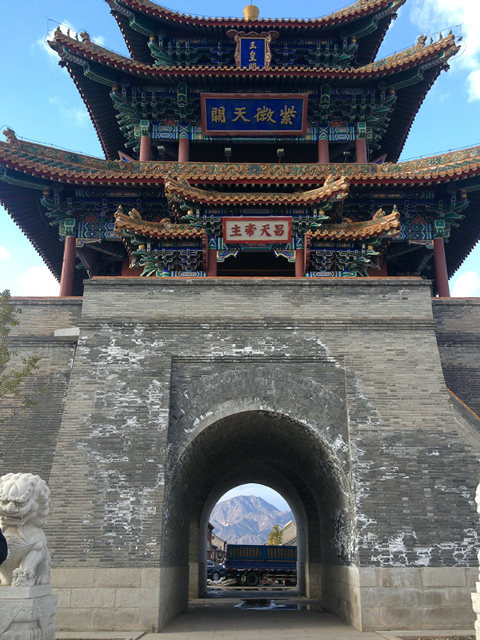 The tower in the town square of Yongning. A small street-side market in the town square. 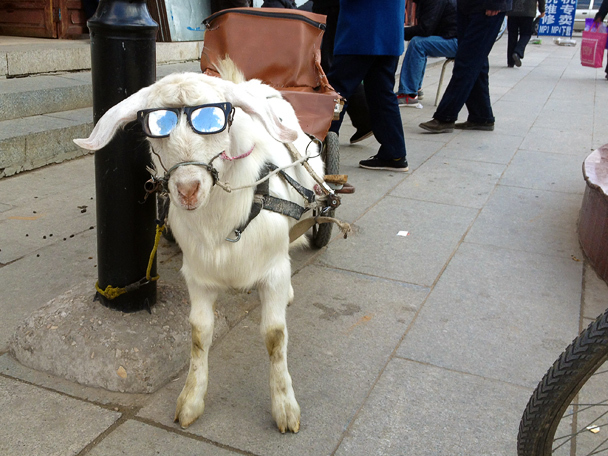 We spotted this cool customer waiting for a fare. 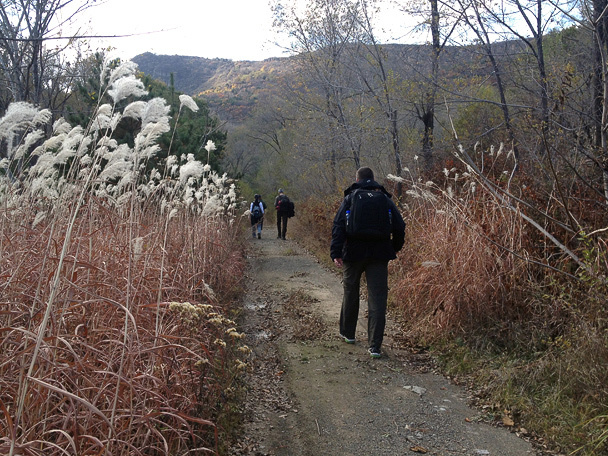 In Brief: See 19 photos from a hike on the Great Wall from Gubeikou to Jinshanling.